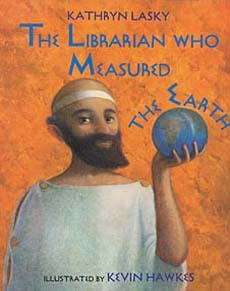 The Librarian Who Measured the Earth is a beautifully illustrated biography of Eratosthenes, a Greek man who first estimated the circumference of the Earth over 2000 years ago. This is sort of two books in one. The first half paints a lovely picture of life in the ancient world and of Eratosthenes early years and how he rose to prominence. 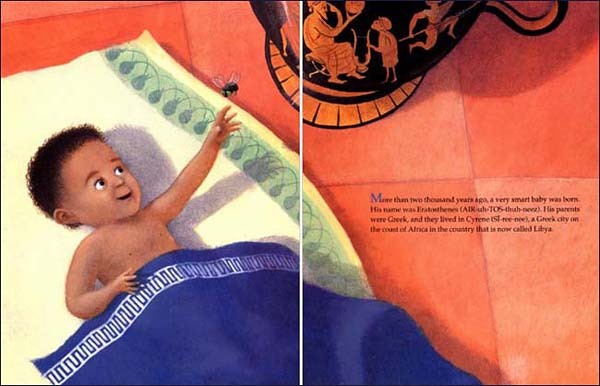 Then, the second half of the book shifts to focus on how he calculated the circumference of the earth so long ago. This is a delightful biography to add into the mix when teaching geometry. Hawkes' acrylics are charming and full of little details about the ancient world. We do have one concern: For older kids, this title provides an engaging way to learn about advances in early geometry, but for young kids (ie: lower grades), please know that it does get quite technical when describing the process for measuring the earth-- likely far too advanced. 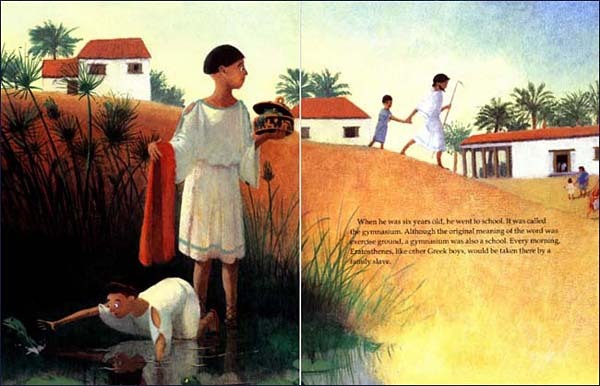 However, the early part of the book is age-appropriate for learning about ancient Greece. Below are sample spreads from inside The Librarian Who Measured the Earth. 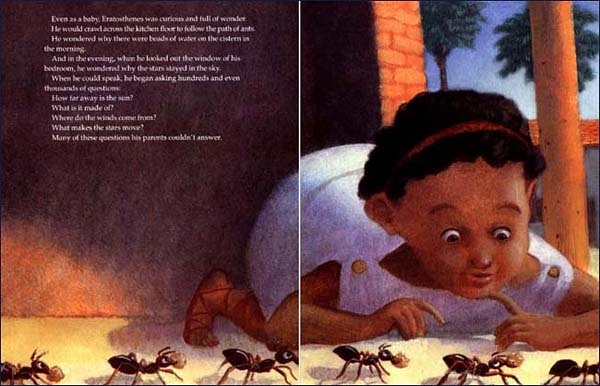 Although our sample pages here are small, hopefully they provide a glimpse into how beautifully done the illustrations are. 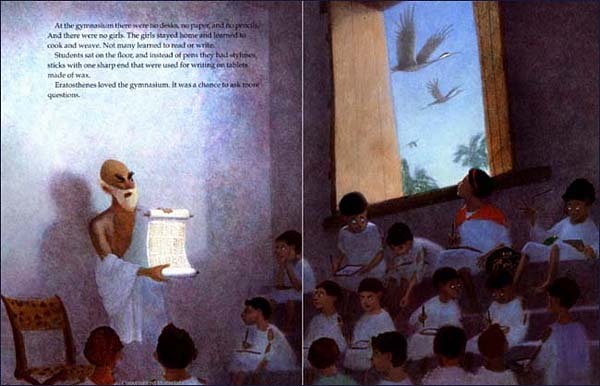 Many of the subsequent pages are full of historical details and settings in Ancient Greece and Egypt. And the last half of the book provides clear illustrations of the math concepts covered.